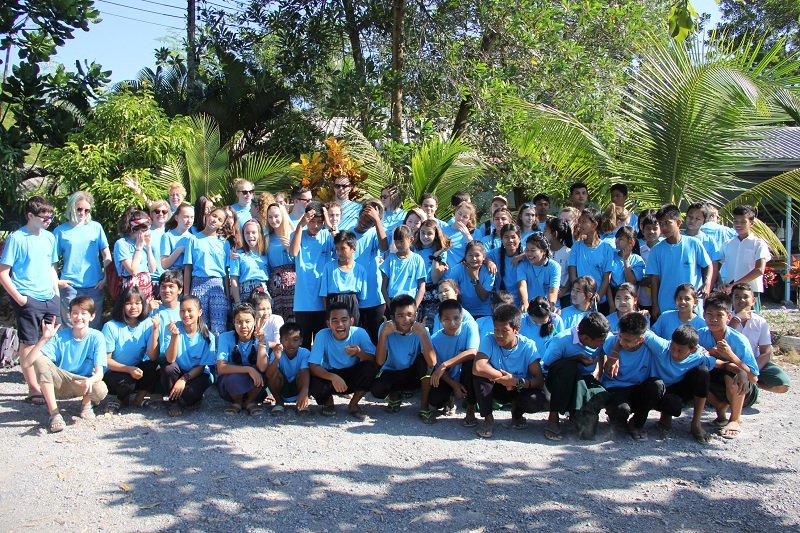 In early March, 88 American School of The Hague (ASH) Middle and High School students and 18 employees returned from trips around the world as part of the ASH Global Service Learning Program. These students spent their holiday break training teachers in Nepal, building a house through Habitat for Humanity in Portugal, laying the foundations for a school in Tanzania, and organizing extra-curricular activities for the children of Burmese migrant workers in Thailand. The ASH Global Service Learning program runs year-long, including this week of service – in March – at the site of their global service partners. With these partners, they cultivate sustainable relationships to give their students the opportunity to become true global citizens and put their learning into action through direct service experience. Through the program, the school scaffolds opportunities for students to actively give their time, efforts and skills to work on social and environmental issues near or far. It also mentors them as they develop a deep understanding of the issue, as well as competency in the skills and attitudes they need to address it. This approach helps them to develop empathy and become a true ‘friend to the world’, a real Global Citizen.